Open the Visual Studio solution you created in the previous exercise, right-click the solution, and select Add | New Project. Select the SharePoint installed templates, and then select Empty SharePoint Project. Provide a name for the project (for example, SchedulingWebPart), and click OK. When prompted, select Deploy As Farm Solution, and click Finish. Right-click the project, and select Add | New Item. Select SharePoint, and then select Visual Web Part. 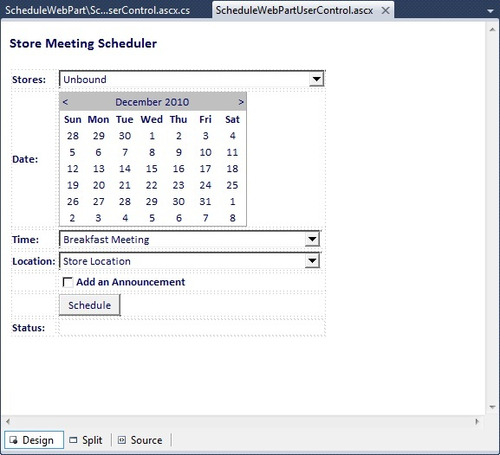 Provide a name for the Web Part (such as ScheduleWebPart), and click Add. When the Web Part item has been added, walk through the same process you did in the first exercise in this article to add the SQL Azure database by using the ADO.NET EDM. You can use the same name to configure the model (that is, CustomerEntities).  After adding the EDM, create a UI that looks similar to the following image. To do this, right-click the Visual Web Part ASCX file (that is, ScheduleWebPartUserControl.ascx), and select View Designer. Note that you’ll add the controls in the following table to your Visual Web Part UI. <td><asp:Label ID="lblDate" runat="server" Font-Names="Calibri" Font-Size="Small"
<asp:DropDownList ID="drpdwnMeetingTime" runat="server" Height="24" Width="302px"
Font-Size="Small" ForeColor="#000066" Text="Add an Announcement"
string connectionString = "Server=tcp:<your server name>.database.windows. The different data types across the SharePoint lists (for example, DateTime and string) and how you need to convert data that you’re retrieving from the Visual Web Part controls. How you’re creating simple conditionals with the Morning, Lunch, or Dinner options in the meeting time drop-down list (drpdwnMeetingTime). Having three conditionals here made it more optimal when using the AddHours method in the example. SqlClient;provider connection string=&quot; Data Source=<server name>.database. After the project has successfully deployed, navigate to your SharePoint site. Click Site Actions | Edit Page, select the Insert tab, and click Web Part. Navigate to where you deployed your Visual Web Part (that is, to the SP And Azure category), select the Web Part, and click Add. Save the page to propagate your changes to the server. After you’ve added the Web Part to SharePoint, select a store by using the autopopulated drop-down list. Then select a date and a time of day for the meeting. Select Store Location (because we didn’t add any code to handle the Corp Location), and select the Add An Announcement check box. Click Submit when done. Figure 1. 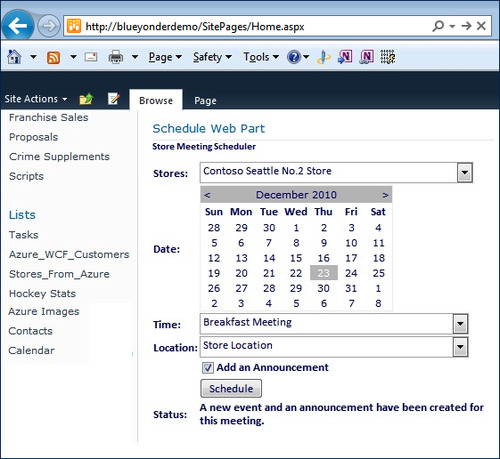 The Scheduling Web Part deployed to SharePoint. When you’re done, you should see the Status label automatically update with a message that indicates that both an event and an announcement have been added to the SharePoint site. Thus, the Visual Web Part has used both SQLDataAdapter and the ADO.NET EDM to query and filter SQL Azure data and then insert data into SharePoint by using the server object model. If you navigate to the Announcements and Calendar lists, you should see the newly added list items. Figure 2 illustrates the newly added calendar event that has inserted data from SQL Azure into the list item. This example provided a glimpse into the process of creating a Visual Web Part that uses both the ADO.NET EDM and the SQLDataAdapter object to interact with SQL Azure. You also saw how you used the server object model to insert data into SharePoint. However, what if you want to do something more complex; what if you want to use a remote API that uses Silverlight as the client and perhaps even pulls in another cloud service or data source beyond SQL Azure into your application? This is absolutely possible, and remarkably, it’s not only straightforward, but you can also do something similar to what you created in this article using Business Connectivity Services (BCS). 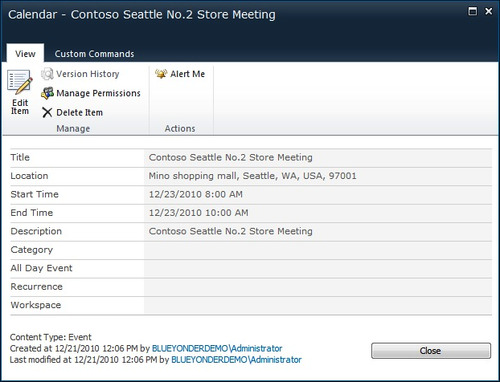 That is, you can use SharePoint Designer to create an external list pointing to the StoreInformation table in the Customers database, and then you can use the external list to integrate with Bing Maps and Silverlight to dynamically load data from SQL Azure (via the external list) into a Silverlight application. This example not only illustrates how you can integrate multiple technologies (for example, Bing Maps, SharePoint, Silverlight, and SQL Azure), but also shows how you can use Silverlight to create a more dynamic user experience in SharePoint. You’ll walk through this example in the next section. Figure 2. A newly added calendar item.